Protect your investment with genuine Amass brand AS150 Male and Female Connector Set with Anti Spark Technology. Built in spark arrest technology helps to protect against current spikes and premature connector erosion that can lead to ESC failure. The AS150 has a low current section to allow for a spark free initial connection. This genuine Amass brand plug set is from the original inventor and patent holder of the XT150 and AS150 connectors. Made from high temperature nylon and featuring gold plated 7mm spring connectors, the AS150 provides a solid connection for applications up to a constant 150 amps. 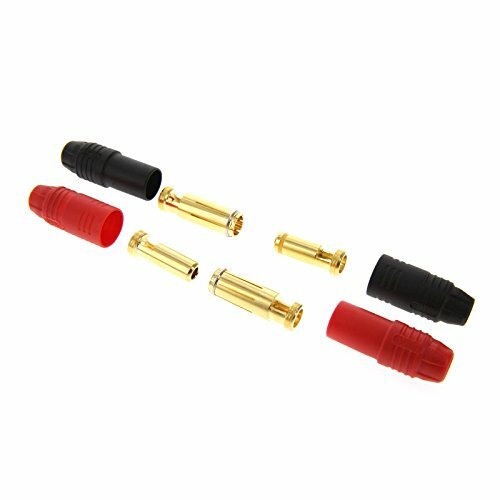 Excellent connector solution for RC Quadcopters, UAVs, Drones, Airplanes and Jets, Cars and Trucks, as well as RC Boats. Upgrade your W.S. Deans T-Connectors today with Amass AS150 Anti Spark connectors from Venom. Sold as a set including two male connectors with housings and two female connectors with housings. View More In Unmanned Aerial Vehicles (UAVs). If you have any questions about this product by Venom RC, contact us by completing and submitting the form below. If you are looking for a specif part number, please include it with your message.